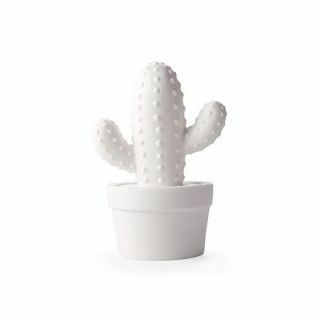 This porcelain cactus light gives off a warm glow, symbolizing protection and endurance all-year round. Fun & easy, great for indoor & outdoor use, and makes for a perfect housewarming gift. Has warm LED light and uses 3 LR44 mercury-free batteries (included). Clean with a damp cloth. Tag Along Toys Ottawa, Kanata Toy Store.